Due to our experience with modifications on aircraft, we have a large collection of EASA approvals for all kind of modifications in the general aviation. Click here for the list of available approvals. Improve your safety! 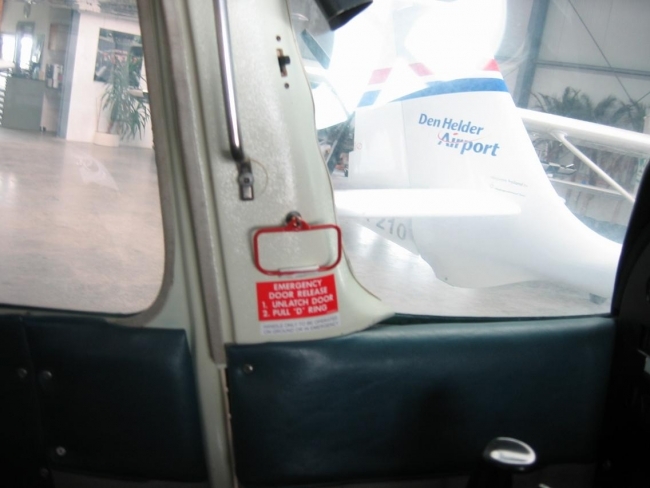 Emergency door release system for Cessna 172 series. Based on the same system as used in the Cessna Aerobat. 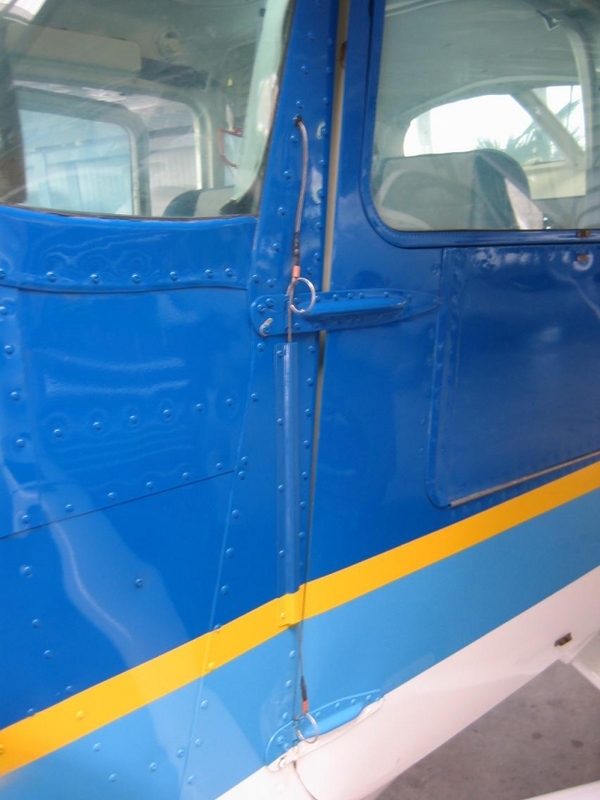 Emergency door release installed in a Cessna 172, used for aerial applications above see. Installation of large removable aft side windows for Cessna 172 series. Dimensions aprox. 25 x 50 cm. Easy to install, easy to operate. Perfect for aerial applications.